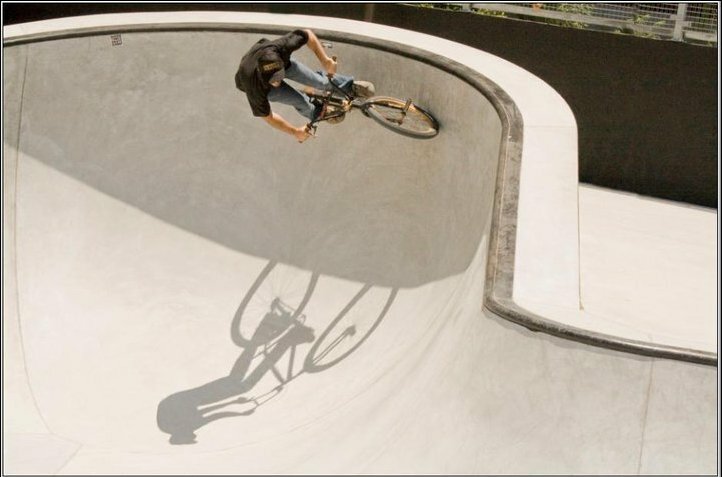 The dynamic flatland duo of Joe Cicman and Danny Sirkin are back with a followup to the first edition of TwoFourFlat (that we featured here last month). And holy Martin Aparijo! A grip ride 20 seconds in is just the start of the flatland trickery and antics in this great clip. Spotted this pic on the Liquid Bikes Facebook page and had to post it. After 25 years, Skyway is once again rolling out 24″ Tuff Wheels from their Redding, California factory. The catch is that it’s a limited run of just 100 sets. They will be available in black, white, red and blue (25 sets of each color) and feature original NOS alloy flange hubs that have been locked away at Skyway for 25 years. Personally, I find the black mag/skinwall tire look totally badass. 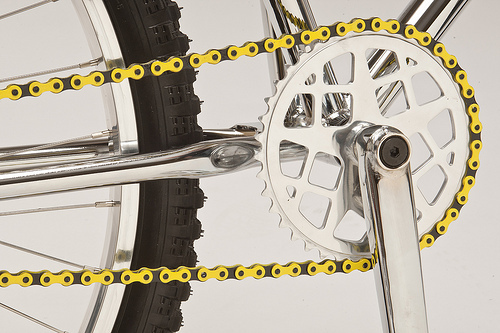 If I had the room in my stable for an old school 24″ cruiser, I’d be all over these. 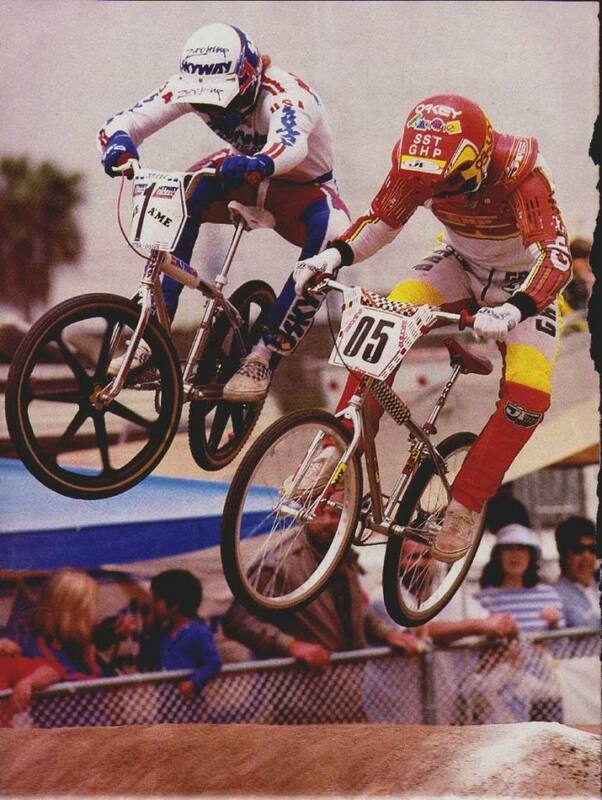 Take a look at this vintage BMX Action pic of Richie Anderson battling Greg Hill…those wheels just look mean. 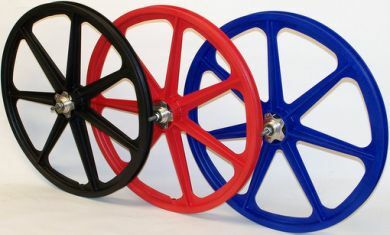 For more details on these wheels and information on how to order them, contact planetbmx.com. 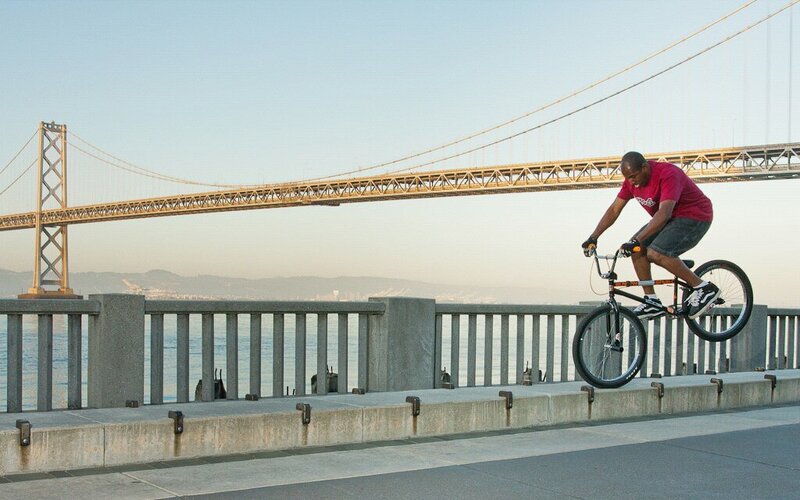 If there’s a camera and a bridge nearby, Trent Brocker will knock out a great photo. For more proof, check out the photo in this post. As a kid working on my bike I leaned heavy on the know-how of my Dad. At the time, I didn’t think much about the lessons I was learning as he showed me how to fix my bike but they went far beyond simply tuning up my bike. Take it easy, don’t force it: Impatience and hasty actions can leave you sorry in the end–be it with a cross-threaded bolt, a stripped axle or a strained friendship. Think before you do things. Show some respect: Dad had everything in its place, so he could find it when he needed it. Throwing a wrench in the wrong drawer would not only make him mad but also inevitably be the wrench I needed the next time I was in the workshop (and one I couldn’t find because I was so careless before). Don’t be afraid to get a little help when you need it: As a scrawny kid I sometimes had a tough time budging tight allen bolts. To help me out my dad went to work and got a pipe made up that would neatly fit over an allen key to give me more leverage. He called it “The persuader”. If I had tough bolt to loosen, I called in the persuader. 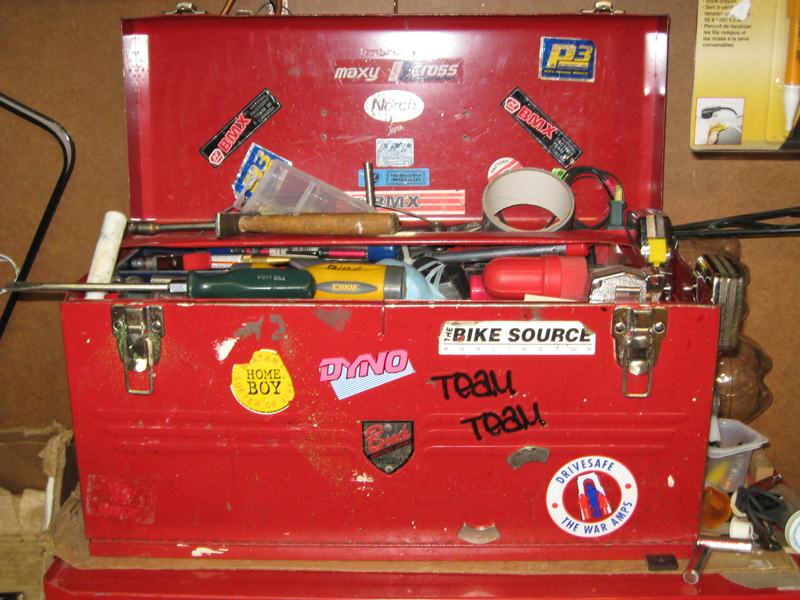 It’s not about the bike: All that time we spent in that workshop was about a lot more than just patching tubes or replacing broken parts. We weren’t just building bikes, we were building a shared experience that meant more than I think we both realized at the time. A lot of good times and good memories. Thanks Dad, for showing me the way. If you’re a fan of Sunday’s 24umph bars (like I am) but want to add a smidge more height to your front end, you’re in luck. 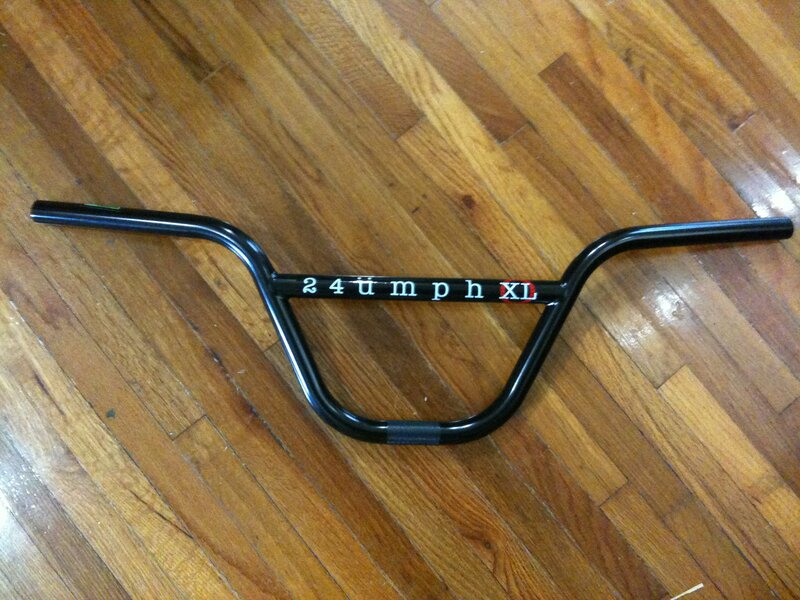 The new Sunday 24umph XL bars are now available! You might remember the teaser photo back in February on the Sunday site. 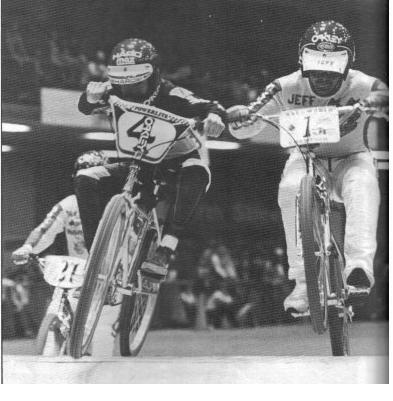 Back then, Jim C. said they made bunnyhops easier and let him pop into nose wheelies better. Could they do the same for you? For now, they’re only available in black. A vapor blue version will follow in a couple of months. It appears that Mongoose is taking a page out of the SE bikes marketing handbook. 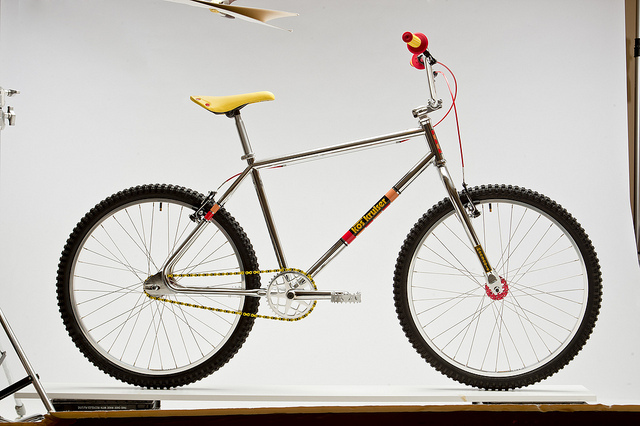 Not only are they offering bikes for the modern-day rider like the new 24 we featured earlier but also bikes that are more retro-style, befitting its long heritage in BMX, like the updated KOS Kruiser. You might remember the new 24″ Mongoose has in the pipeline. Trent Brocker and Moody have been seen putting that bike through its paces so you know it’s going to hold up to modern-day riding. Now to capture that end of the market that remembers the origins of the sport, they’re reintroducing the KOS Kruiser. Named after Jeff Kosmala, the dominant cruiser rider of the late 70s/early 80s, it was a bike that was piloted to many a championship win. And while it retains its classic retro looks (hello looptail!) it’s been updated to take advantage of the improvements that have happened over the decades since its original release. Think sealed everything, v-brakes and an integrated headtube. They even go so far as to put on an aftermarket ACS freewheel–a nice touch given the tendency of generic freewheels to give up the ghost without warning (and often at the most inopportune time). The motomag sprocket is pretty sweet too. Sure it wouldn’t be what you would want to thrash the streets with–it wasn’t meant for that. This bike is for cruising in the truest sense of the word. Think of it as bike that’s in the same class as the Macneil retro style cruisers. Mongoose’s advantage though is the retro-cool factor of its look combined with Mongoose’s deep legacy in the sport and Jeff Kosmala’s iconic standing as one of the dominant cruiser riders of his era. For more pics of the updated KOS Kruiser, check out this Flickr photostream.